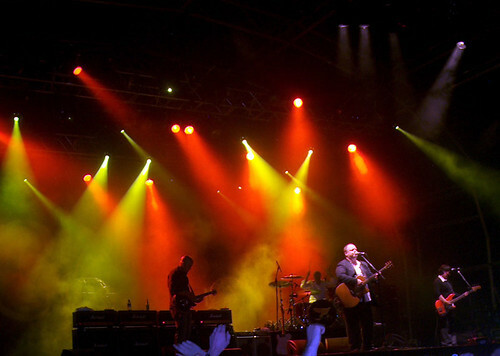 The Pixies, originally uploaded by alister. The Pixies were great. I saw them 18 months ago in Brixton and they have improved through practice since then. They actually seemed to enjoy themselves and bantered between each other and the crowd this time. The obvious crowd pleasing monster tunes were played but, as in Brixton, odd additions of weak numbers like Into the White and their cover of Winterlong. Still it gave my feet a break from bouncing. Rainy day, but it didn't matter.